Mount Prospect Police say they've broken up a burglary ring that resulted in thousands of dollars in stolen property during dozens of break-ins. Police said three Elk Grove Village residents ran the ring. They're accused of committing burglaries throughout the northwest suburbs and North Shore. "They were very non-discriminatory based on what we have here. They collected whatever they could grab," said Timothy Janowick, the Deputy Chief of the Field Operations Division of the Mount Prospect Police Department. Authorities said the home and car burglaries dated back months, and surveillance led to the arrest of the suspects. 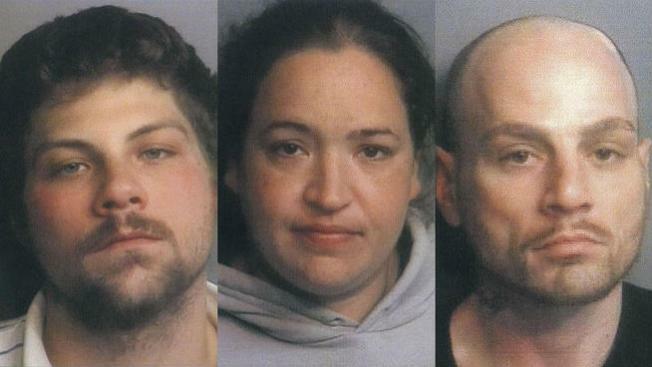 Ryan J Bloom, 22; Richard J. McCann, 34; and Lizette M. Norman, 34, were charged with burglary, unlawful possession of a controlled substance and other burglaries, police said. The trio reportedly lived together and allegedly resold stolen property to pay for drugs. The investigation could link the trio to almost two dozen burglaries in Mount Prospect alone, police said. About 60 percent of car burglaries in the town could be connected to the burglary ring. Bloom and Norman were held Saturday on $80,000 and $75,000 bail. McCann's bail was set Sunday at $150,000. They are expected back in court Tuesday.